The diverse cultural, religious and traditions of the Asian countries are reflected not only in their lifestyles but also in their dances. Each country in Asia has several indigenous and ethnic groups within its own country. These groups have their own unique identities and traditions, which are also visible in their dances. These create several dancing diversities for each country. The mythical stories, the tribal and religious rituals and from the everyday events that signify good and bad are what inspired some of these Asian dances. 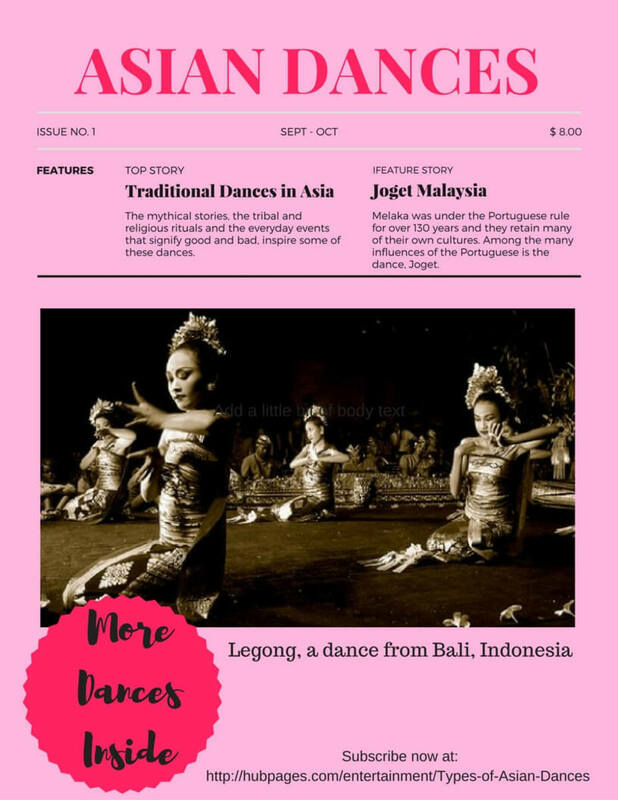 This article celebrates the diversity in Asian dances but will highlight only a small collection of dances from some of these Asian countries. Dunhuang Dance, a dance influenced by Buddhism and the images of Buddha, originated from the province of Gansu in West China. This is the gateway between China and Central Asia, Middle East and Europe. It is through this gateway, known as the 'Silk Road', that saw the introduction of the new culture, arts, trades, and religion to China. This included Buddhism. The 'Silk Road' connection had also made Dunhuang known worldwide for fresco paintings of the 4th - 14th century, many of which can be seen in over 1000 caves in the area. The excellent images that reflected the daily life in West China became the inspiration for a dance form. Leading dance experts studied these fresco paintings and created the Dunhuang Dance in late 1980. 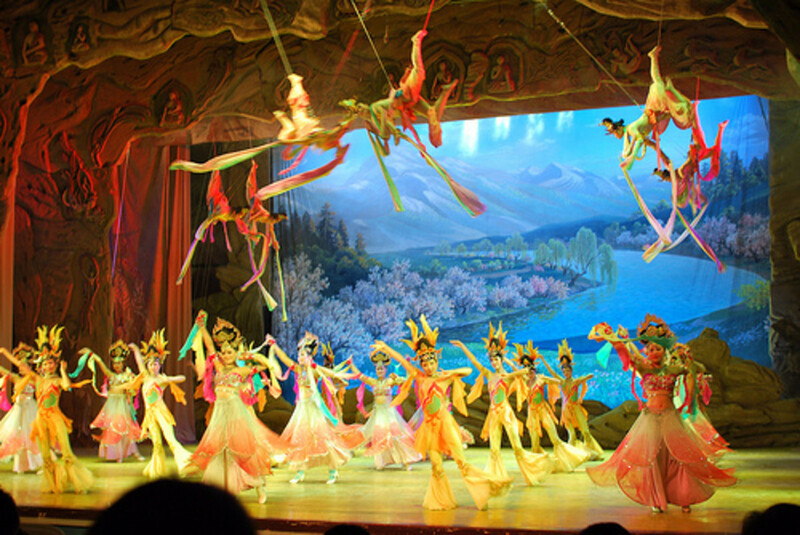 You probably have seen and watched Chinese ribbon dance either on stage or on television. The ribbons were originally part of the dancer's costume but later became an integral component of the Dunhuang dance. 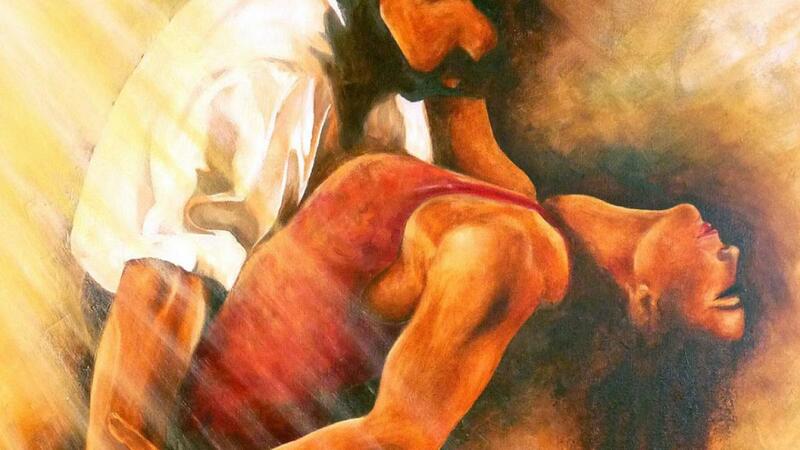 The cultural influences from Eastern Europe, Middle East, and India can be seen in some of these cave's paintings. These are reflected in the Dunhuang dance where the hip movements are similar in characteristic to Middle Eastern dance and the body and hand movement are almost similar to Indian dance. Dunhuang dance was well received by audiences not just in China, but also abroad for its elegant movements and images. 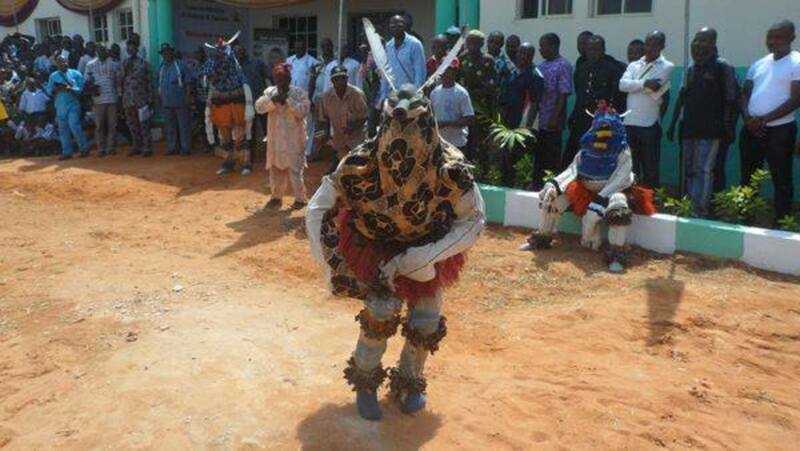 It has also developed into more of a theatrical performance, which in some dances include acrobatic performance. Barongan is a dance with the strong elements of trance and worship and originates from Central Java, Indonesia. It spreads to neighboring Malaysia in a slightly different dance form and performed in its southern state of Johor. However, this dance is more prominent as a dance drama in the Indonesian island of Bali. 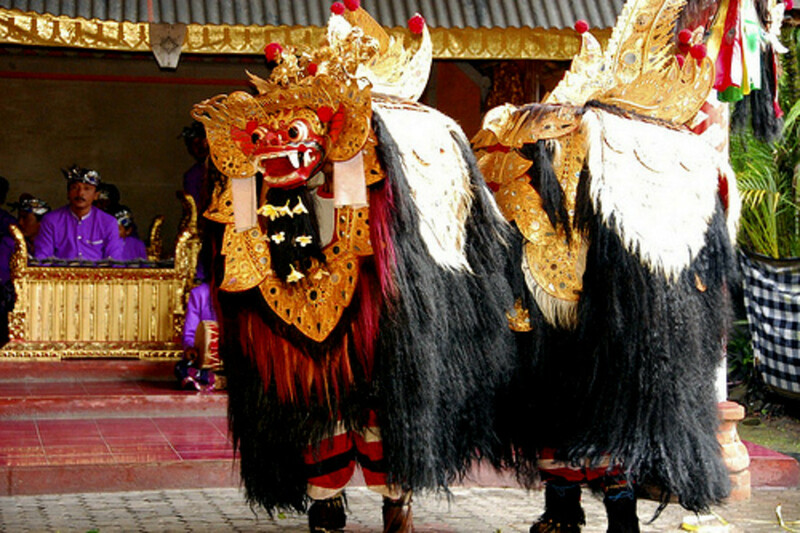 The dance re-enacted the battle between the demon queen, Rangda and the lion, Barong, a fight between good and evil. In this mythical story, Rangda was condemned by her husband for her daily rituals in black magic. When he died, their son Erlangga became king. Frustrated with this outcome, Rangda who aspires to take over the throne, took revenge. She summoned all the demons and evil spirits to attack Erlangga. Unable to fight off the powerful black magic troops, Erlangga enlisted the help of Barong, a lion-like creature, and king of the good spirits. After several magic spells and fights, Barong finally won the battle forcing Rangda to retreat to the jungle. It is said that during this dance, the dancers will go into a trance and if they are weak, can easily get hurt. So, before the dance, a priest will offer prayer and blessing to all the sacred items, especially Barong and Rangda's masks. Before the British ruled Malaya (the old name for Malaysia), it was under the Portuguese and then the Dutch. But it was only the state of Melaka that was occupied by the Portuguese and the Dutch, as it was the wealthiest and the most progressive of all the states then. The Portuguese occupied Melaka in the 16th Century and even after the Dutch and the British took over the rule, many of the direct descendants of these Portuguese soldiers and merchants continued to live in Melaka. 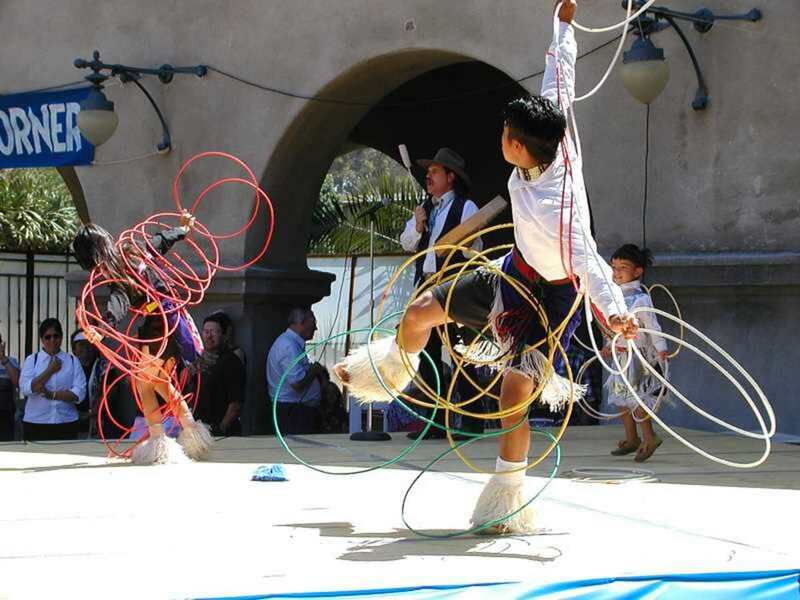 They retain many of their own cultures as well as merging the cultures of the locals. 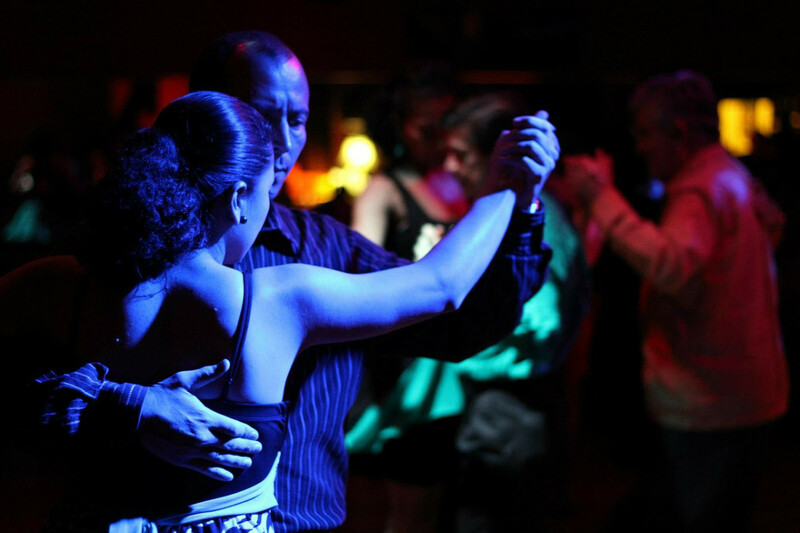 Among the many influences of the Portuguese is the dance, Joget and it is one of Malaysia's favorite dances. This is a lively dance performed by couples in a fairly quick and upbeat tempo. Watch the accompanying video to see this good-humored and teasing dance among the dancing couples. Joget is now mostly performed during weddings, social and official functions. Another variation of Joget is Joget Lambak, which is performed by a larger group instead of a smaller group of 4-5 couples. 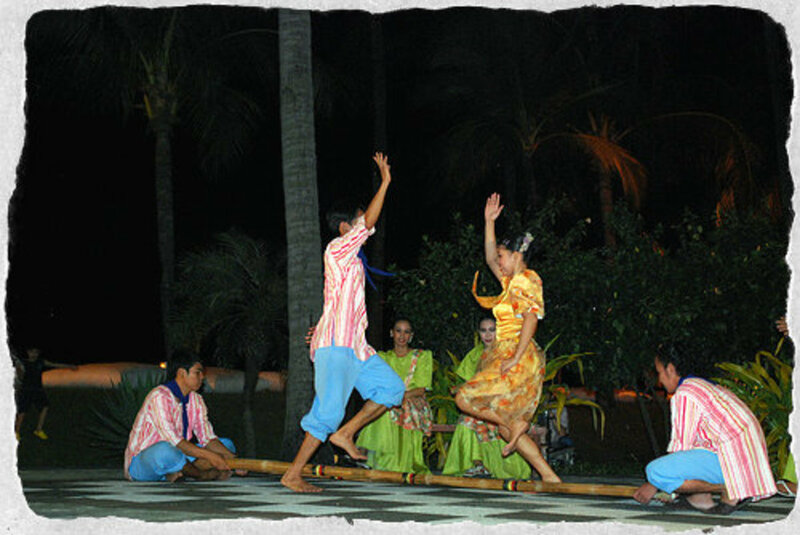 Tinikling Dance may be one of the oldest dances from the Philippines and is now considered to be the country's national dance. This dance originated from Visayan Islands, one of the group of islands that comprises the Philippines. In the state of Sabah, Malaysia, the ethnic group, the Kadazan has a similar dance probably due to the country's close proximity to the Visayan Islands. The dance involves two people that will clap, tap and slide bamboo poles against each other. One or more dancers will then step in between these bamboo poles in rhythmic movement, which become faster as it progresses. Watch the accompanying video to see this dance. The dance imitates the Tikling bird that tries to dodge bamboo traps set by rice farmers, hence the dance name. There is no specific costume worn for Tinikling dance. The men will generally wear the Barong Tagalog, a formal Philippine attire. Lady dancers may wear Patadyong, a checkered skirt and a traditional Philippine blouse made from pineapple fiber. The dancers will be barefooted for the dance. The influence of Brahminism and Hinduism are very prominent in some of the dances in Thailand and Khon is one of them. Khon is a masked dance-drama that tells the much-beloved mythical stories in Thailand. It combines acting, martial arts, dancing and chorus singing in the telling of these stories. Originally performed for the royalties, the dance drama will also include the praising and support for the Monarchy. 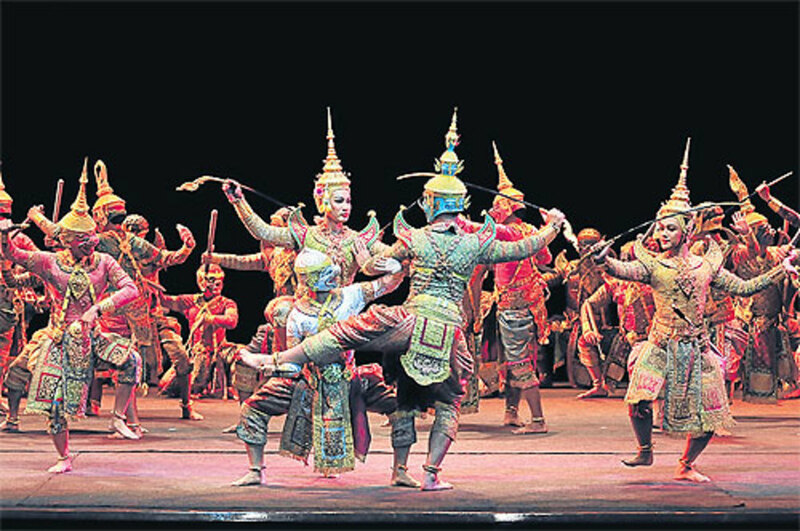 The most popular and famous of these dance drama is Thailand's version of the Indian classic Ramayana, the Ramakien. It used to be performed by male dancers who will also play the female role. However, in 1800 both men and women were allowed to perform. Besides the many masks worn by these performers to denote the good and the evil characters, colors also play an important part in Khon dance drama. For example, in the Ramakien epic, the hero will wear green, his loyal brother will wear gold and the monkey god will wear white. Thailand's version of the story tells the tale of Rama, the heir to the Ayodhya throne who was exiled by his stepmother. In this long and complex tale, the good triumphs over evil and Rama regain his throne to rule Ayodhya again. This story is similar to the Indonesian's Barongan Dance, which is also influenced by Hinduism. Angkor, a region in Cambodia, was the seat of the powerful and influential Khmer Empire between 9th to 15th centuries. It was during these periods that they spread their influences to the rest of Cambodia and the neighboring countries of Thailand, Laos, and Vietnam. These included art and culture. The Khmer civilization was very much influenced by Hinduism and Buddhism. Many Indian scholars and artists were brought to Angkor and the Sanskrit language and literature flourished. This was the golden age of Khmer Empire. But when the Khmer Rouge took control of Cambodia in 1975, almost all of these arts and cultures including classical dances were brutally wipe out and destroyed. With the fall of this repressive regime in 1979, efforts were made to revive these lost arts and cultures of the Cambodians. Under the guidance and support of Queen Sisowath Kossamak, traditional dance experts studied the many drawings and etchings on the wall of Angkor Wat and other historical and ancient monuments. Their efforts to revive and reconstruct these lost arts happened between the 80's and 90's. What you see Apsara today is the results of these intensive studies. It is a dance-drama love story with graceful and fine hand movements to portray emotions and feelings. 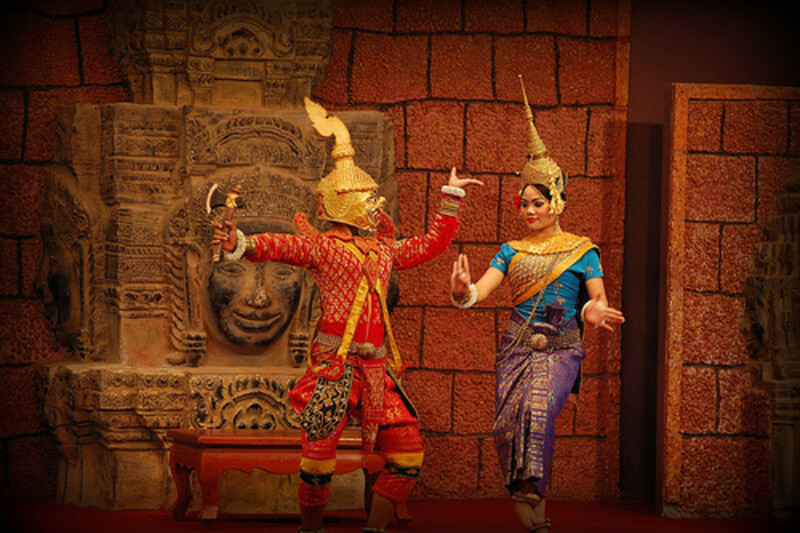 You will see similarities between Cambodia's Aspara and Thailand's Khon in terms of costumes and dance moves as both were under the Angkor Khmer Empire's influences. Bharatanatyam dance is a classical dance from Tamil Nadu, South India and originally performed by maidens who dedicated themselves as temple dancers and musicians. It involves complicated and angular movements but is now practiced and performed by both male and female dancers. 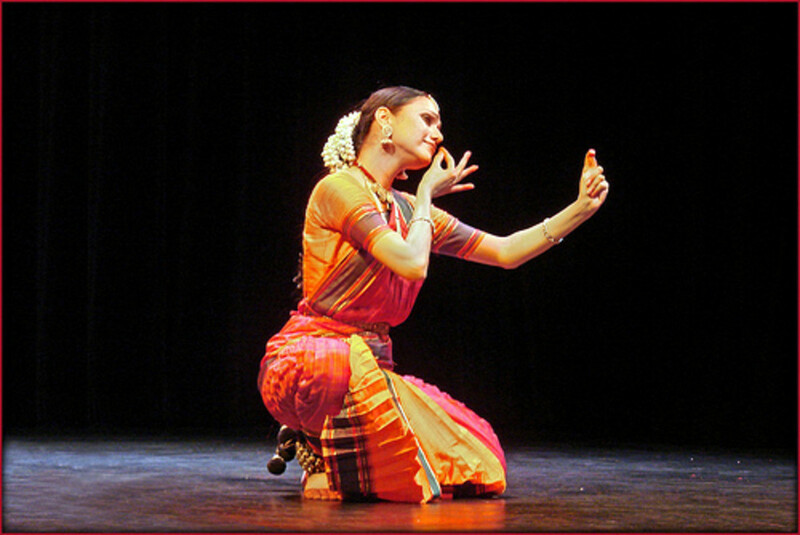 Bharatanatyam, also spelled as Bharathanatyam, is known for its grace and sculpturesque poses. As with most Asian dances, Bharathanatyam dance encompasses traditional dance music and theatre. The name is derived from the basic concept of other dances, which are Bhava, Raga, and Thaala. The Bharatanatyam dance that you see now is no longer the original dance steps but is based on the modern re-interpretation by the Thanjavoor brothers during the early 18th century. Bharatanatyam Dance has its root in Chennai. As reported in the Aug 23, 2012, edition of The Times of India, many of the dancers left the city for a better prospect and pay. Chennai paid a high price for this loss and has to reinvent itself to claim back the title as the dance capital for Bharatanatyam Dance. Fan Dance from Korea originated and rise to prominence during the Joseon Dynasty (1392 until 1910), a period that saw the rise in art and culture, science, technology and trade in Korea. It was also during this period that Korea chooses Confucianism as its official religion instead of Buddhism, and Seoul was adopted as the capital city of Korea. 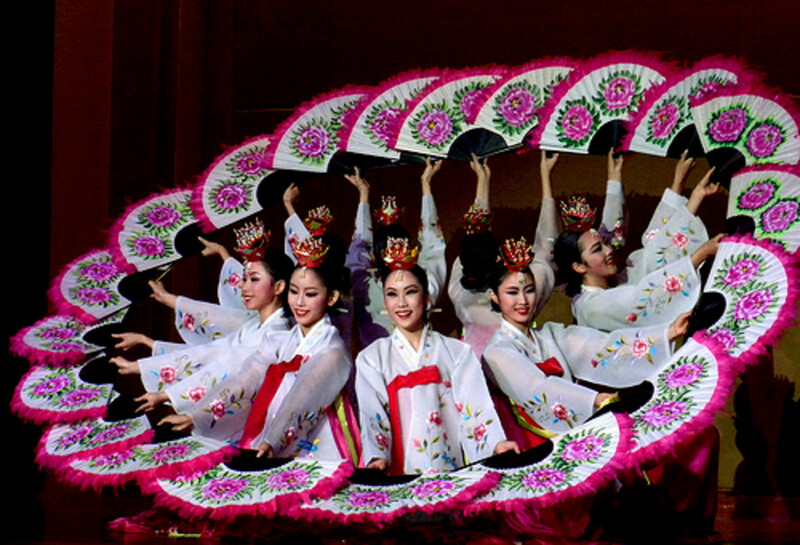 This Fan Dance, also known as Bucheachum, is performed by women, with a breathtaking display of fan as its main feature. The fans come in an assortment of colors and patterns such as flowers and butterflies. The movements are displays of natural phenomena such as blooming flowers and natural sea waves. The choreography is also closely related to their religious beliefs. 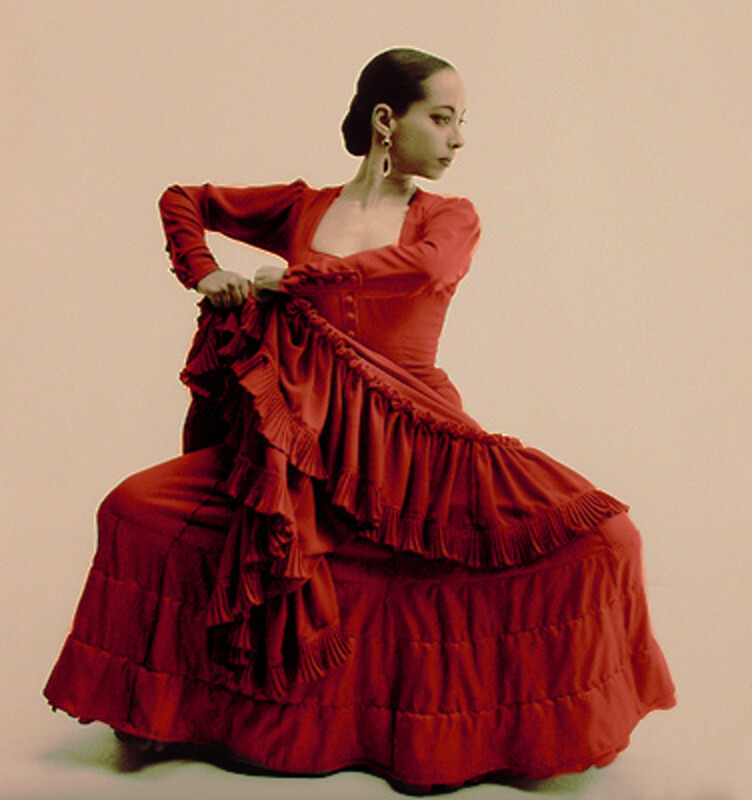 The dancers will wear the dangui, which is a dress with long, flowing sleeves. They will also wear a headdress, called jokduri that looks like a golden tiara. One of the popular and famous Japanese dances is Bon Odori. It is a dance to welcome the ancestor's soul and to express gratefulness. This is held during the Bon week, usually in August, and celebrated in every Japanese city. One of the largest Bon Odori celebrations that are held outside Japan is in Shah Alam, Malaysia. This is due to the large Japanese expatriate community there. Besides the song, dance, and food, memorial services are also held during this Bon week, a practice originating from the Chinese Buddhist's culture and tradition. During the Bon celebration, people will gather at the park or open spaces and do the Bon Odori dance. The dance is performed in circles around a raised podium where the musicians are seated. It is held at night as they believed the ancestors' souls would come back during the night! The dance step is simple and it reminded me of a group of people doing stretching exercises. See the attached video if you don't believe me. I hope you enjoyed reading these small collections of Asian Dances. If you need more information, you can buy this excellent book, Asian Dance. I bought the ebook version but it is also available in paperback. Patricia, thanks for dropping by and commenting. Hi Leah M. If you have problem with your knee, bamboo dance may not be that suitable. It is a fun dance though and it is hard to resist. The Indonesian or Malaysian traditional dances are more gentle on the knee. Give it a try. Thanks for dropping by and I hope you have a great time doing all the many selections of Asian dances. There are some many Asian dances that I would like to practice! I already started the bamboo dance using my Slip On Dancers since I have this problem in my knee. Eve Marie, thanks for the read and your compliments. Enjoy the weekend! Very fascinating hub! Tried participating on a bamboo dance once and I was quite amused as the bamboo snapped my clumsy footwork. Hahahaha. I really enjoyed the experience. @mizjo, Thank you for the compliments and I think all the dances are great. The Malaysian Joget is also a great dance and we used to learn that in primary school. I can't remember the steps now and even if I do, I don't think I dare give it a try. I will probably make a fool of myself! Beautifully done, Mazlan. Asia has so much art and culture in its make-up, going back centuries. It is heartening that they are not allowed to die out, as it almost did in Cambodia at the bloody hands of Pol Pot. One can see the influences of Buddhism and Hinduism in the dances of Bali, Thailand and Cambodia, in the similarities of costume and dance movements (particularly the hands) and the story of the Ramayana. I liked all the dances you showed, but the Tamil one is the most ornate, and the Filipino bamboo dance the most joyful. @Derdriu, thanks for your insightful contribution and detail explanation to the history of Dunhuang. This will certainly help readers who are keen to know more on Dunhuang dance. Greatstuff, Although I enjoy all the above-mentioned dances -- particularly so since my graduate advisor specialized in Malaysia and Myanmar -- I have particularly special feelings for the Dunhuang dance. Buddhism was introduced into China by the descendants of the Tarim Basin's Celtic peoples, known to history as the Tokharians and Yuezhi and about whom I've shared three hubs written as a trilogy of odes and descriptions opening with original photography by fellow Hubs-Pages-er Fordie, who lives with his family in China. After being defeated by the Yiongnu and expelled from Dunhuang and the Gansu Corridor, some of the Celts stayed in the Tarim Basin areas of Cherchen, Loulan and Subeshi. Many moved from mountain communities ever southwestwards until they settled in northern India, from whence some of their descendants returned to the Tarim Basin and then on to Dunhuang and the Gansu. From there, they introduced Buddhism into China and left gorgeous cave paintings attesting to their cultural presence. 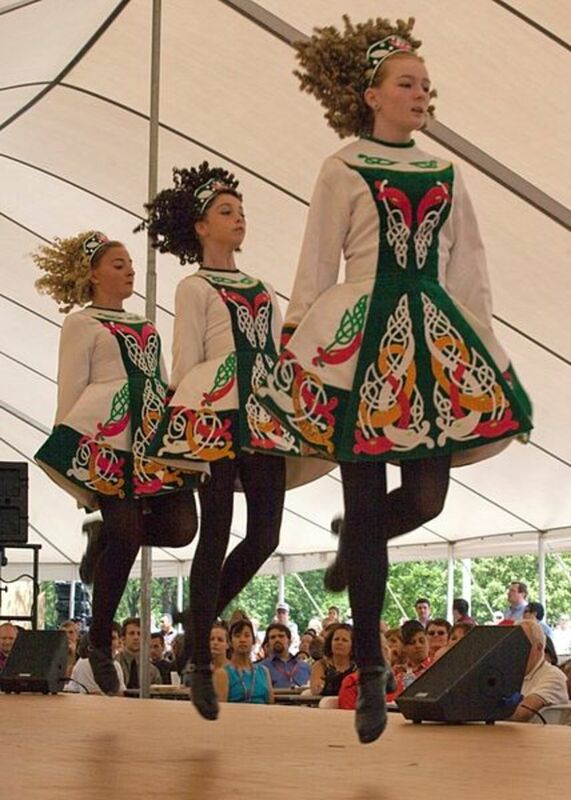 We just went to an internation folk festival here in NC and I actually saw some of these dances!!! Excellent hub! Voted up and shared! Om, the bamboo dance is very popular and I thought it is only in the Philippines and Eastern part of Malaysia, didn't know you have it in Thailand too! I would love to see a fan dance and ribbon dance in person. I think they are beautiful. I don't know where you would be able to catch any of these in the states. Maybe some day I will get to visit these countries to enjoy them in person. Great hub post and well done. @aDayInMyLife1: there are several dances in Asia and this is just a small selection. Thanks for reading. Interesting Hub on Traditional Asian dances. Asians also have common dances they preform at parties. Thanks for this sample.